This is the first installment in our OrthoCarolina Living Room Series where we feature local groups using the space. Once upon a time there was a burgeoning coworking space nestled behind Bank of America Stadium in the kingdom of Charlotte. It wanted to change the way people worked and provide for the community. Then, along came a creative thinker hailing from OrthoCarolina. His eyes were wide with curiosity and full of ideas as he sauntered through the space. That’s how the OrthoCarolina Living Room came to be. Nonprofits, social entrepreneurs and those doing good in the community can use it for free. How awesome is that? 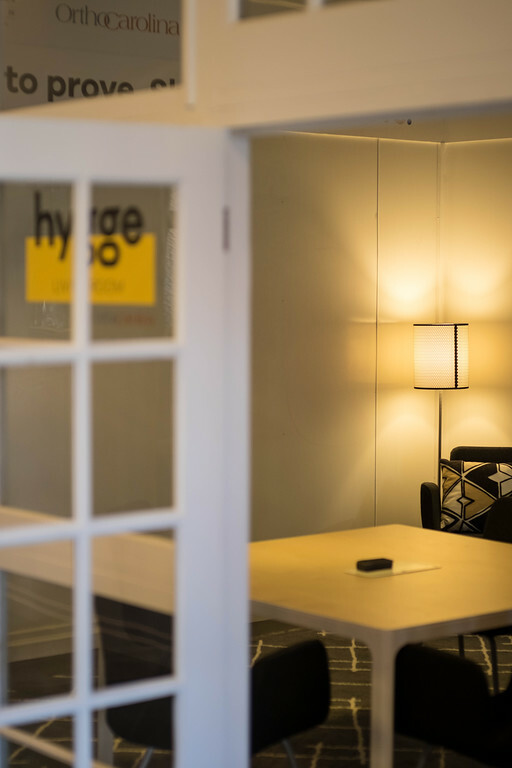 Last year the creative thinker, aka Blair Primis, toured Hygge with Garrett and knew Ortho could help. Ortho’s dedication to the community is clear. That’s why the Living Room was somewhat serendipitous. 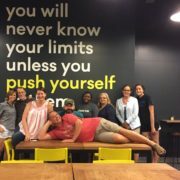 It serves the community in a new way and exposes people to coworking, which is still a growing concept here in Charlotte (I wrote all about the benefits of coworking here). “It created a super cool environment for folks to experience Charlotte in a way they never thought they could,” Blair says. 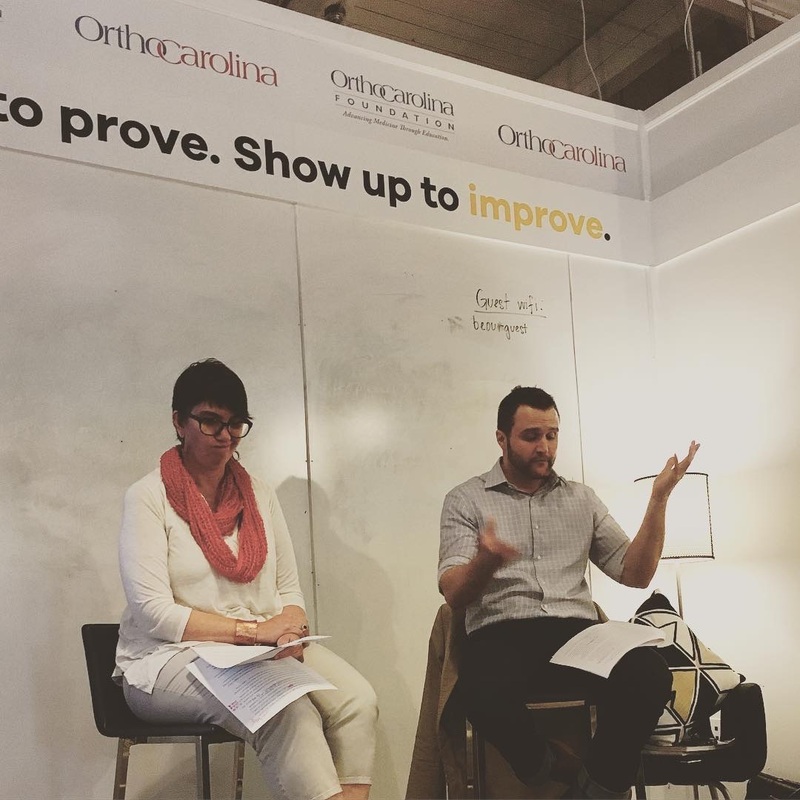 While many nonprofits can’t afford an office or a conference room, the OrthoCarolina Living Room gives them a place to call their own, even if that is just for a few hours. My mom always says 1) Nothing is ever free and 2) If something seems too good to be true, chances are it is. Well Mom, I love you, but you’re wrong about this one. Illuminate is a monthly series facilitated by Next Stage Consulting that shines a light on nonprofits. 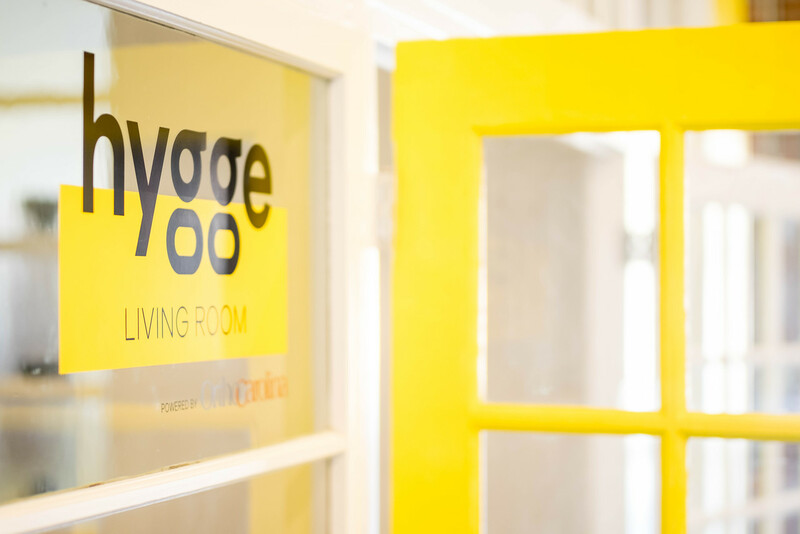 Day in and day out groups come to Hygge specifically for the OrthoCarolina Living Room. Whether it’s a board meeting or a staff training or an impromptu team building—it fits all of their needs, primarily because the space is flexible. 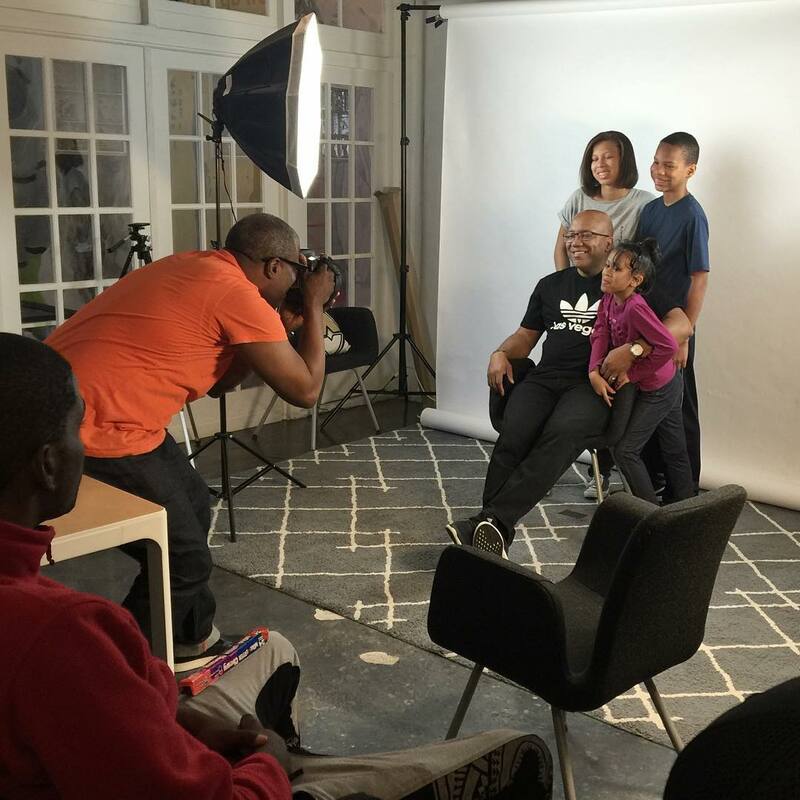 Need a space for a photoshoot? No problem! You can fit 20-22 comfortably with all the tables, but feel free to take out the tables and configure the room however you want. It also has a wall-to-wall whiteboard that is great for brainstorming and a moveable TV for all your beautiful presentations. Stay tuned for our first group introduction on the blog next week. If you’re looking for a spot for your next meeting, contact us to reserve the OrthoCarolina Living Room. 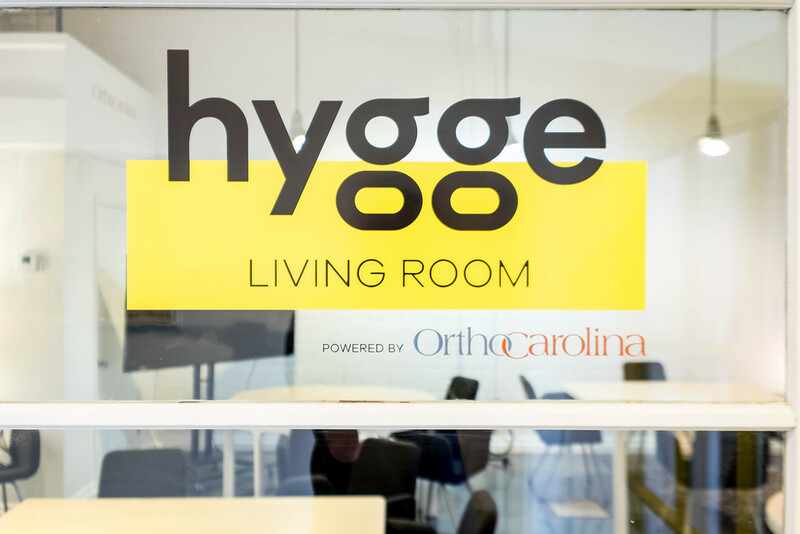 Oh, and don’t forget to share your experience on social media and tag @OrthoCarolina and @HyggeCLT. We love to see how you’re using the space!